Yesterday, Unravel launched on PC, Xbox One and PS4. This side-scrolling platformer is Swedish studio Coldwood’s first original game – and by original I mean “not ordered by a publisher but initiated by the developers themselves”. Last year, after he had presented the game at E3, I had the opportunity to interview Martin Sahlin, game director for Unravel. He told me everything about his vision of video games: a total work of art that should “do more than just entertain”, that should also “grab and move” the player. With Unravel, a game that stars the adorable Yarny, a little character made of red yarn that unravels as he progresses through the levels, Coldwood wanted to create a game that came from their hearts. When starting the game for the first time, players can read a message from the developers, reminding them of this particular will and thanking them for all the support Coldwood has received ever since the announcement of the game at E3. The publisher of the game, EA, played a huge part in this support, by granting the game an international visibilty. Was the game worth the support? Does it deliver on its promises? This is my review of Unravel. 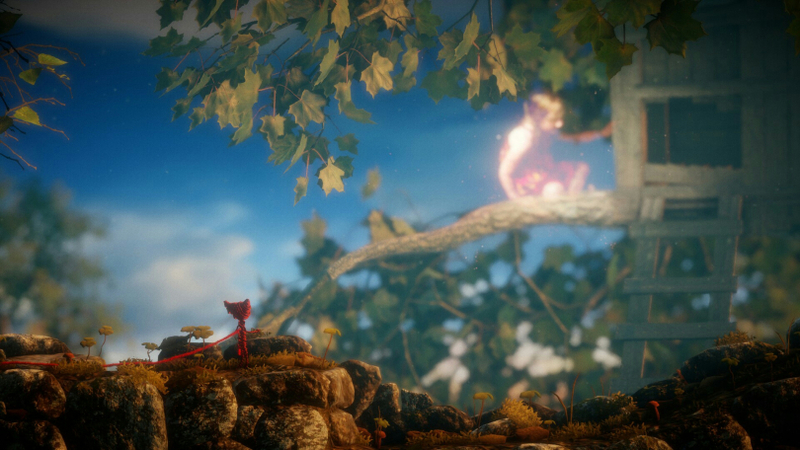 Unravel is a classic, yet efficient platformer. Yarny progresses through sidescrolling environments, and he has to solve several puzzles, with various degrees of difficulty, in order to find out how to keep progressing. The game’s originality is its yarn-based gameplay: throughout the game, Yarny will have to use his own yarn as ropes, pulleys or lassos. The game’s puzzles rely mainly on physics – they are relatively simple, and will rarely keep the player from progressing for too long. Some of them are a bit more difficult, however – all in all, the game’s difficulty is relatively well-balanced. I will not dwell more on Unravel‘s gameplay, as it really is the traditional platform/puzzle/die-and-retry gameplay. If you do like the genre, you will most likely love Unravel, as the game does master its mechanics; if you don’t, I still believe you might appreciate Unravel, for its other aspects. For the true beauty of the game is not so much its gameplay, but its story, its soul, its core – its very identity and personality, which will grab you and prevent you from dropping the controller. Technically and artistically, the game is absolutely flawless. 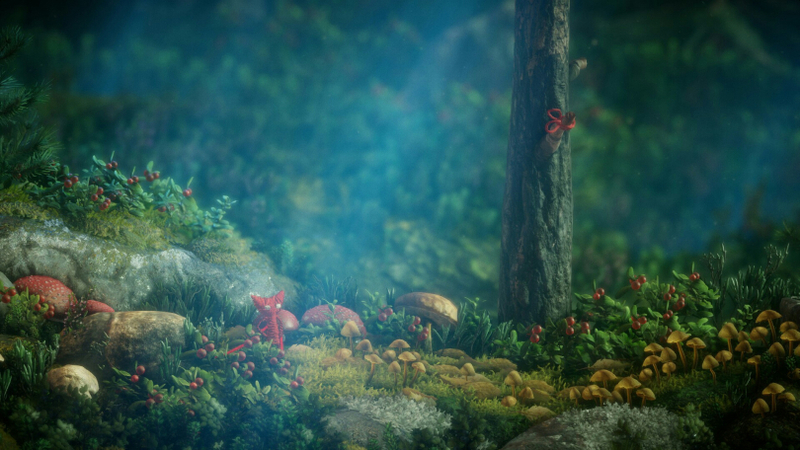 In many ways, Unravel takes its inspiration from nature and its beauty. The game lets you travel through various natural environments (garden, beach, forest…), through several ambiances (sunny, rainy, snowy…). Thanks to the lifelike graphics of the game, nature is even more pleasant to explore and to admire. Unlike in most platformers, you spend a lot of time in Unravel just staring at the environments for a few moments, without moving at all – only for the sake of enjoying the view. The game’s levels are filled with details, including a lively fauna & flora. Here, you will come across an adorable hedgehog wandering in the grass; there, you will encounter one hostile crab determined to cut the yarn string that unravels behind Yarny. Yarny actually interacts a lot with the environment, and he is always animated in the sweetest way possible, making the game sometimes feel like an animated film. Finally, sounds and music play a huge part in the tribute to nature that is Unravel, by conveying impressions of melancholy and nostalgia. The music’s “Nordic” tones literally transport the player to the Swedish countryside, which served as an inspiration for the developers. The whole game becomes a true journey for the player. Yarny is just so adorable. You will also find traces of man’s presence in the environments. The game emphasizes two aspects of man’s impact on nature: on the one hand, the game has ecological intentions, by showing how negative an impact men can have on this nature that we learn to appreciate as the game progresses, on the other hand, the game associates nature with memories, with the past, with moments of life spent with your family or with your friends. In Martin Sahlin’s mind, Yarny was born during a family trip in the Swedish countryside. It seems logical, then, that the game associates both of these aspects – nature and family memories. In the introduction of the game, an old lady is seen looking at her family portraits, with a nostalgic and tender look on her face. As she climbs the stairs up to the first floor, she drops a ball of red yarn behind her – Yarny comes to life. He then starts exploring the family memories himself, through the pictures that are scattered throughout the house – corresponding to several fabulous adventures. Yarny is the metaphor for this nostalgic return towards one’s past. The string that unravels behind him symbolises the link that binds people who love one another, but also the difficulty to reach the people we love, and to reach the past as well, as there comes a point when there is not enough yarn to keep going further. The game constantly reminds players of their own memories, of their own moments of life: a trip to the beach, a day spent gathering fruits in the woods. Memories we can relate to. Each level corresponds to one particular memory, at the end of which Yarny comes back to his photo album, in which he gathers pictures and photos of the past, along with a few lines of poetry. As you flip through the pages of the album, a bittersweet feeling of nostalgia strikes you. Emotions are not forced upon the player, however. The game as a whole is very personal, and naturally moving. Several times, I wondered whether the memories and photos seen in the game were or not the developers’ own memories and family photos, directly put into the game, for the game really feels personal (while remaining universal as everyone and anyone can relate to these memories). 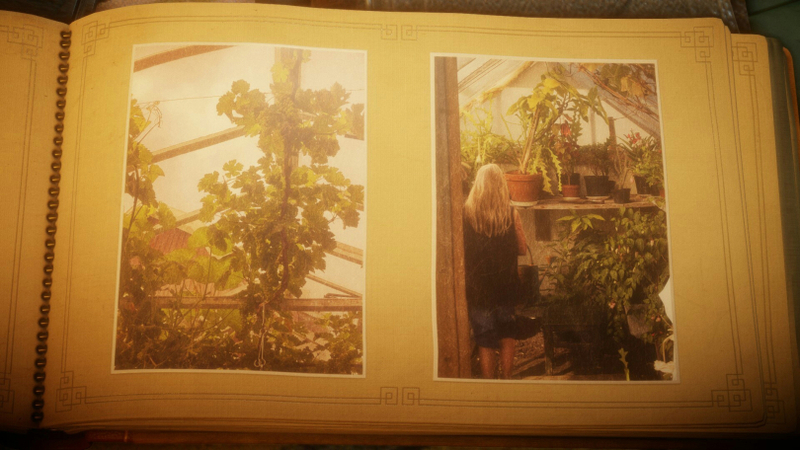 The photo album is one of the game’s most moving elements. Unravel is neither revolutionary nor extraordinary – but that is not what I expected from the game. On the contrary, Unravel rests upon a classic, yet well-mastered and flawless gameplay, in order to better deliver its true beauty: emotions, only emotions. 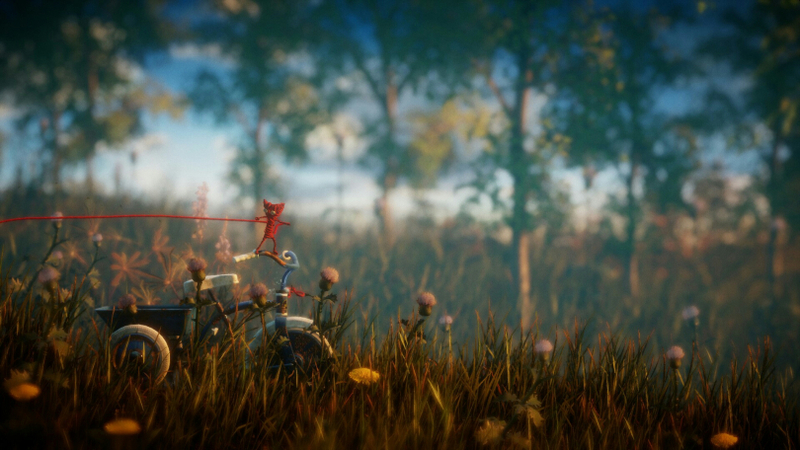 Throughout Yarny’s adventures, Unravel reveals fragments of youth, fragments of life, nostalgic memories, as well as a tribute to the Swedish nature that the developers from Coldwood love so much (their studio is based in Umeå, in northern Sweden). Yet, even though it was inspired by Sweden, the game is universally beautiful: everyone can be grabbed and moved by the melancholy of childhood, this time in life when every natural setting invites us to games and adventures. Today, these adventures are Yarny’s. I am still moved by Unravel, and I still haven’t finished my journey, so I will go back to playing the game. Thank you, Coldwood, for delivering such a personal and moving game. I wish you the best for the rest of your journey.